You're watching the Women Lead to Peace Summit in Geneva, Switzerland. 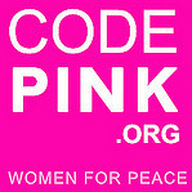 Women Lead to Peace is a global alliance of women and male allies calling for an immediate ceasefire in Syria, an embargo on arms sales, greater humanitarian aid for the refugees and displaced, and the full participation of women at the peace negotiations. The people of Syria have suffered too much, for too long. We want to show them that we will take a stand to end the violence and alleviate the hardships they are enduring.